Note: This event is open to the Georgetown University community, and to the general public. If you do not have a Georgetown University ID, please bring a valid government-issued ID (driver's license, passport, etc). FREE FOOD if you bring something to get fixed, or volunteer to help fix things! Do you have items in your house that need fixing or mending but you don't know how to fix them yourself? On March 23 from 12:00 pm - 4:00 pm bring your broken items such as toasters, lamps, clothing, jewelry, bicycles, vacuum cleaners or small appliances to the Repair Café in the Maker Hub! Volunteers will evaluate and fix as many of them as they can for FREE. Volunteers will also be available to answer questions about repairs on items that are too large or not possible to bring in. Worried about getting your deposit back? At this event you can learn how to spackle and repair holes in your wall, as well as other useful home repairs. The Maker Hub, along with the Office of Neighborhood Life, has partnered up with the Repair Café of Transition Howard County, MD to bring the program to Georgetown! Student makers and experienced fixers will be working hand in hand, and this event is open to both the Georgetown University community, and to the general public. Repair Café is a movement, started in the Netherlands, which endeavors to promote sustainability, resilience, and a counter to our throwaway culture. Just one Repair Café repair can save up to 24 kg of carbon! Registration is not required, but if you plan to bring items to be repaired, please fill out this form so we can be prepared to help you: https://goo.gl/forms/1JQzAeYZs9cBP9Zs1. DO YOU HAVE FIXING SKILLS? 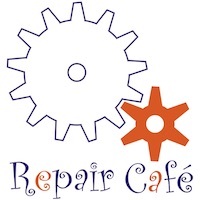 WOULD YOU LIKE TO HELP OUT AT REPAIR CAFE?